In portugese the boot is called “Sonho Dourado” and it represent the hopes of entire Brazil nation on Neyrmar to help them win their 6th world cup title. 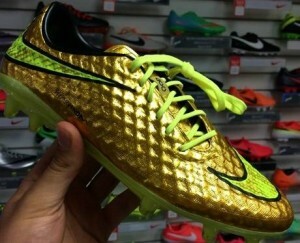 This is how the golden boot lookes, it comes with a striking gold colour with big nike swoosh and it will be used exclusively by Neymar in the knockout stages. 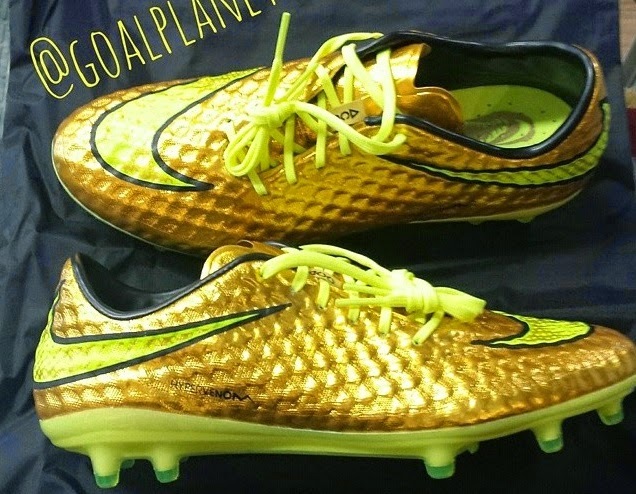 This metalic gold colour will make sure Neymar will shine onthe pitch and give him exclusivity as he will be the only footballer in the world cup to use these boots. Good marketing effort from Nike who are trying their best to cash it on the Brazilian wonderkid. 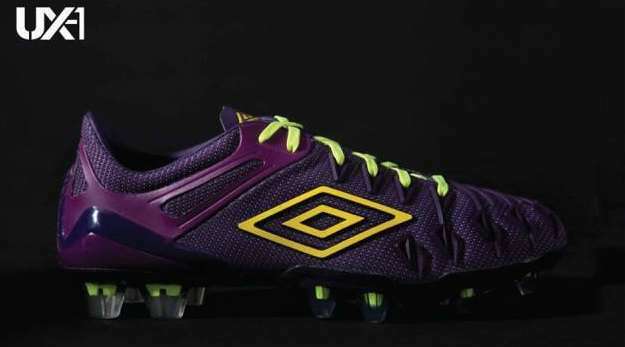 The boot is set to release one the group stages are over, Neymar is currently using the normal hypervenom colourway and he will be switching to “golden dream edition” in the round of 16 tie.